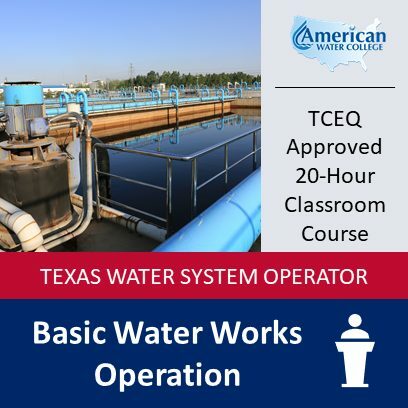 This course (code 1293) is approved by the TCEQ for 20 hours of training as a “Core Course” and for “Continuing Education”. This course can only be taken once each license renewal cycle to qualify for continuing education credit. This course (code 1426) is approved by the TCEQ for 20 hours of training as a “Core Course” and for “Continuing Education”. This course can only be taken once each license renewal cycle to qualify for continuing education credit. 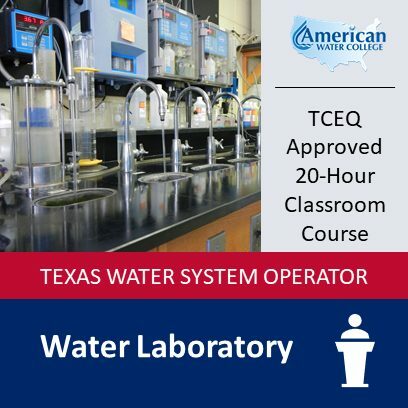 This course (code 1329) is approved by the TCEQ for 20 hours of training as a “Core Course” and for “Continuing Education”. This course can only be taken once each license renewal cycle to qualify for continuing education credit. 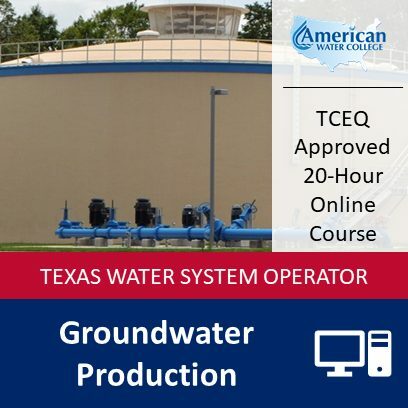 This course (code 1333) is approved by the TCEQ for 20 hours of training as a “Core Course” and for “Continuing Education”. This course can only be taken once each license renewal cycle to qualify for continuing education credit. 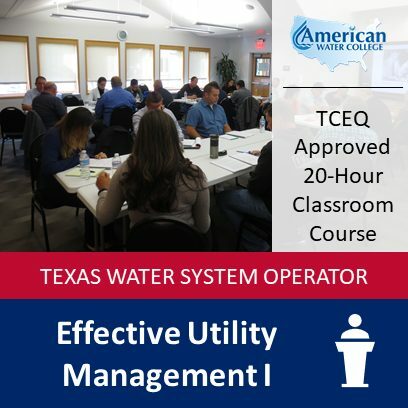 This course (code 1132) is approved by the TCEQ for 20 hours of training as a “Core Course” and for “Continuing Education”. This course can only be taken once each license renewal cycle to qualify for continuing education credit. 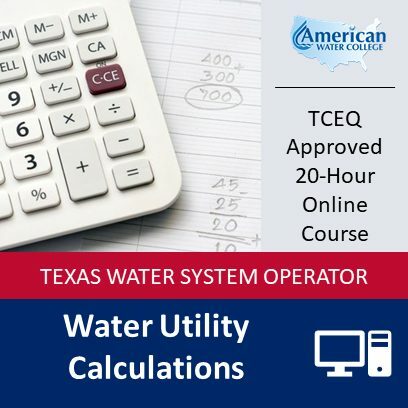 These guaranteed exam prep courses are supplemental to our TCEQ approved Core Courses and are included FREE when you purchase one of the courses above. No hours are awarded for completing the exam prep course only. Pass your test the first time! No stress. No worry. 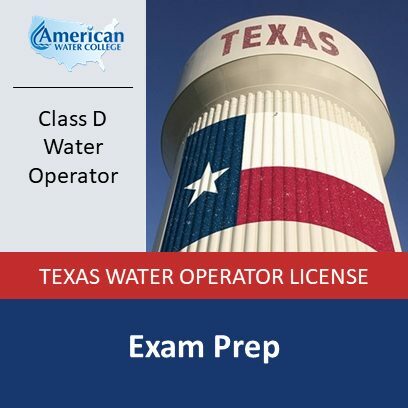 This course will prepare you to pass your D level Texas water treatment operator exam with confidence and get you started on your way to a successful and satisfying career in water treatment. Pass your test the first time! No stress. No worry. 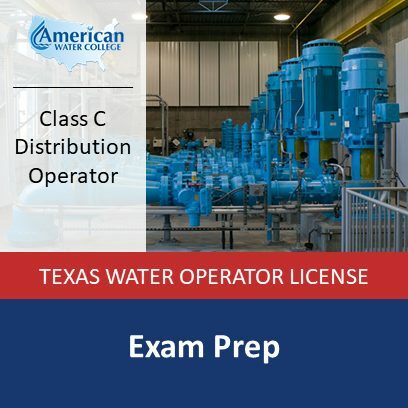 This course will prepare you to pass your C level Texas water distribution operator exam with confidence and help you take your next step in a successful and satisfying career in water treatment. Pass your test the first time! No stress. No worry. 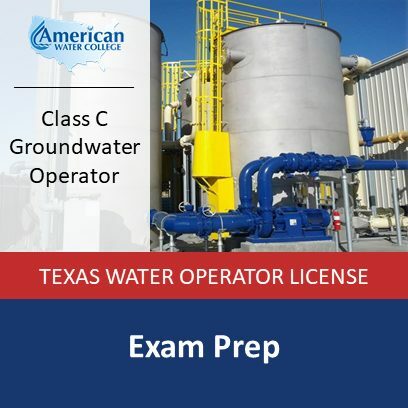 This course will prepare you to pass your C level groundwater exam with confidence and help you take your next step in a successful and satisfying career in water treatment. Pass your test the first time! No stress. No worry. This course will prepare you to pass your B level water distribution operator exam with confidence and help you take your next step in a successful and satisfying career in water treatment. Pass your test the first time! No stress. No worry. 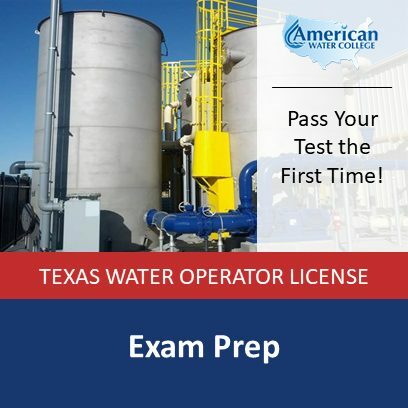 This course will prepare you to pass your B level groundwater exam with confidence and help you take your next step in a successful and satisfying career in water treatment. 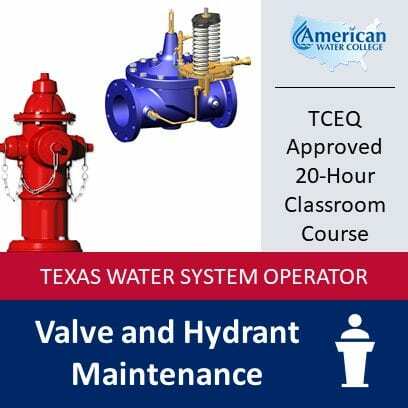 This course (code 0426) is approved by the TCEQ for 20 hours of training as a “Core Course” and for “Continuing Education”. This course can only be taken once each license renewal cycle to qualify for continuing education credit. 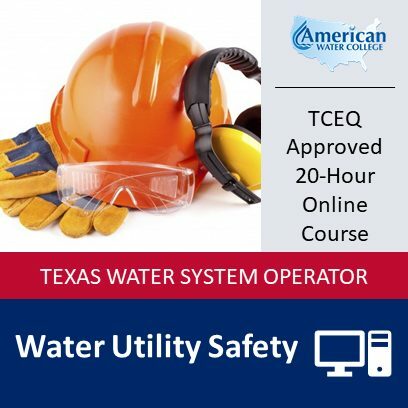 This course (code 0108) is approved by the TCEQ for 20 hours of training as a “Core Course” and for “Continuing Education”. This course can only be taken once each license renewal cycle to qualify for continuing education credit. 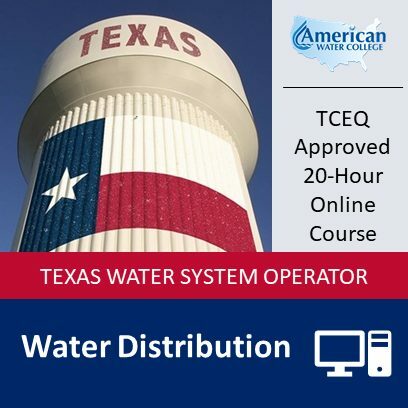 This course (code 0396) is approved by the TCEQ for 20 hours of training as a “Core Course” and for “Continuing Education”. This course can only be taken once each license renewal cycle to qualify for continuing education credit. This course (code 0285) is approved by the TCEQ for 20 hours of training as a “Core Course” and for “Continuing Education”. This course can only be taken once each license renewal cycle to qualify for continuing education credit. 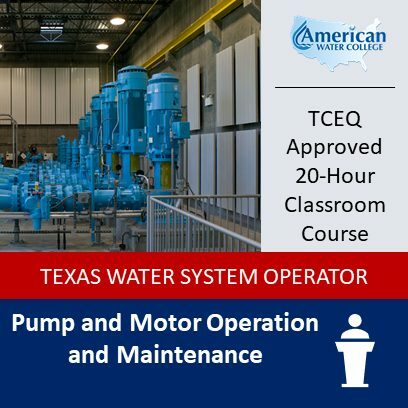 This course (code 0605) is approved by the TCEQ for 20 hours of training as a “Core Course” and for “Continuing Education”. This course can only be taken once each license renewal cycle to qualify for continuing education credit. 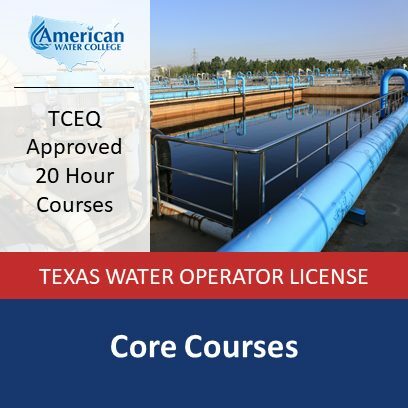 This course (code 0961) is approved by the TCEQ for 20 hours of training as a “Core Course” and for “Continuing Education”. This course can only be taken once each license renewal cycle to qualify for continuing education credit. 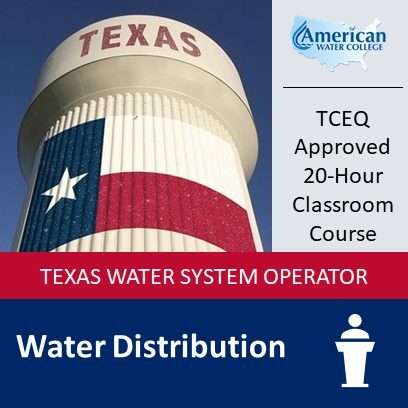 This course (code 0092) is approved by the TCEQ for 20 hours of training as a “Core Course” and for “Continuing Education”. This course can only be taken once each license renewal cycle to qualify for continuing education credit. 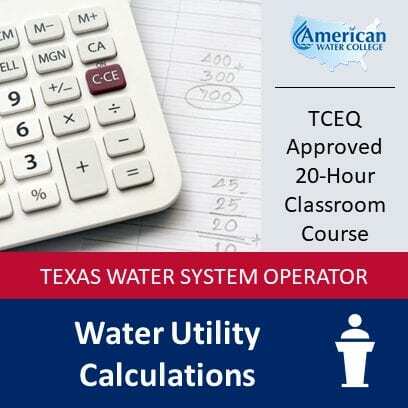 This course (code 1451) is approved by the TCEQ for 20 hours of training as “Continuing Education”. This course can only be taken once each license renewal cycle to qualify for continuing education credit.